Can you imagine stretching out your legs without the efficient movement of your knee joints? No. Knee joint is the largest joint in our body and it’s improper functioning would definitely lead to the ailments related to activities such as walking and running. To sort out knee problems, you need a good clinical evaluation, X-rays & sometimes even MRI. Most knee diseases are managed through good physiotherapy & medications. Sometimes one needs an arthroscopy. Shree Meenakshi Orthopaedics & Sports Medicine clinic offers all such solutions. It involves looking at the interior of the knee joint through a 4 mm lens called the arthroscope. A magnified view of the joint’s interior is obtained & one can diagnose & treat with a high level of precision. How to be geared up for a knee arthroscopy? The patient should be willing to share with the doctor about the medications and prescriptions that he is currently taking. Twelve hours before the surgery, he has to refrain from eating and drinking. Sometimes doctors prescribe pain medication to decrease post-operative discomfort. 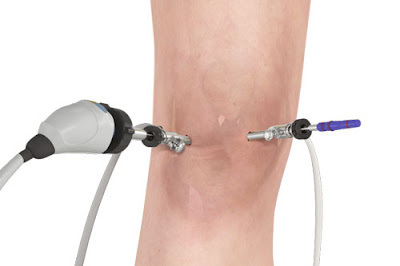 How is knee arthroscopy carried out? Anaesthesia (local, regional, general) is given to the patient. Certain incisions are made on the knee and salt water (sterile normal saline) is pumped into it so the knee can be expanded and enable the doctor to view the interior part of the joint too. Then, the arthroscope is introduced in any of the incisions and using the camera the doctor sees the inside of the joint. The images are seen on the monitor. Once diagnosis is made, the same incisions are used to treat the problem. Finally, the salt water is drained off and the cuts are closed. A physical exercise to be followed regularly, will be recommended by the doctor after a few appointments with him after the surgery. This would help to restore the strength of the muscles too. 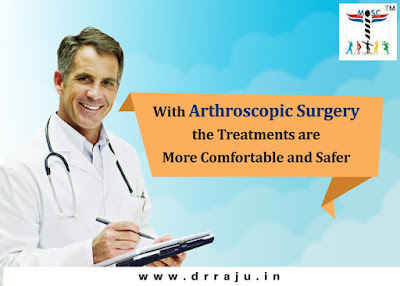 Are you searching for the best arthroscopic knee surgery in India and the minimum Knee arthroscopy cost in Delhi? Don’t waste your time, come directly to the Shree Meenakshi Orthopaedics & Sports Medicine clinic and get the your knee fixed at a feasible rate.